Summer is cool in Mexico City. It is cool because, unlike Spring, this is our rainy season — And rains are very predictable. Almost every day we wake up with a gorgeous, clean, blue sky. Cool, nice temperature, around 15°C. The sun slowly evaporates the rain throughout the morning; when I go out for lunch, the sky is no longer so blue, giving way to a seemingly dirty white/grayish tint. No, it's not our world-famous pollution: It's just yesterday's rain. Rain starts falling usually between 4 and 7 PM. Sometimes it starts as a light rain, sometimes it starts with all of its thunder, all of its might. But anyway, almost every night, there is a moment of awe, of not believing how much rain we are getting today. It slowly fades away during the late night. And when I wake up, early next morning, everything is wet and still smells fresh. 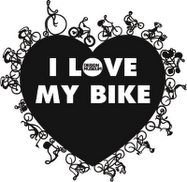 Yes, I love our summer, even though it makes shy away from my much enjoyed cycling to work and school. And I love taking some minutes off work, look through the window of my office (located ~70m over the level of our mostly flat city) and watching how different parts of the city have sun or rain; learning to estimate the distance to the clouds, adding it to the direction and guessing which of my friends have which weather. But I didn't realize our city had so clearly defined micro-climates... (would they really be *micro*-climates?) In fact, it even goes against my knowledge of Mexico City's logic — I always thought Coyoacán, towards the South of the city, got more rain than the Center and North because we are near the mountains, and the dominant air currents go Southwards, "clumping" the clouds by us. But no, or at least, not this year. Regina (still in the far South — Far because she's too far away from me and I'm too egocentric; she returns home after DebConf) often asks me about the weather, as our friends working nearer the center of the city. According to the photos they post on their $social_media_of_the_day accounts, rains are really heavier there. Today I heard on the radio accounts of yesterday's chaos after the rain. 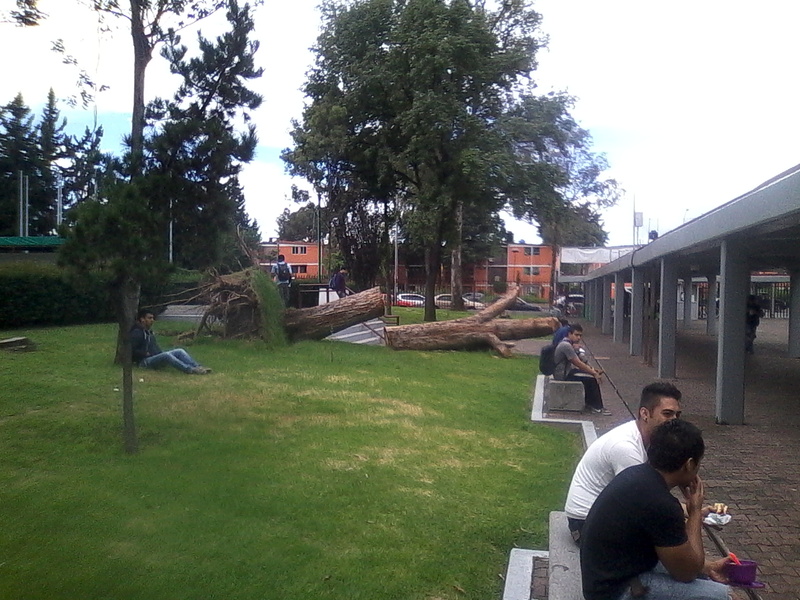 This evening, at ESIME-Culhuacán, I saw one of the reported fallen trees (of course, I am not sure if it's from yesterday's rain). And the media pushes galleries of images of a city covered in hail... While in Copilco we only had a regular rain, I'd even say a mild one. This city is bigger than any cloud you can throw at it.